Whipseey and the Lost Atlas, developed by Daniel A. Ramirez, is set for release in the third quarter of 2019. Play as Drew, a young boy transformed into the titular Whipseey as he is sucked into a magical book. It is a retro platformer revolving around whipping and swinging to get to platform to platform. The systems planned are Nintendo Switch, Xbox One, PlayStation 4, and PC. The game itself has been in developed for two years, with pixel art done by Roy Nathan De Groot. 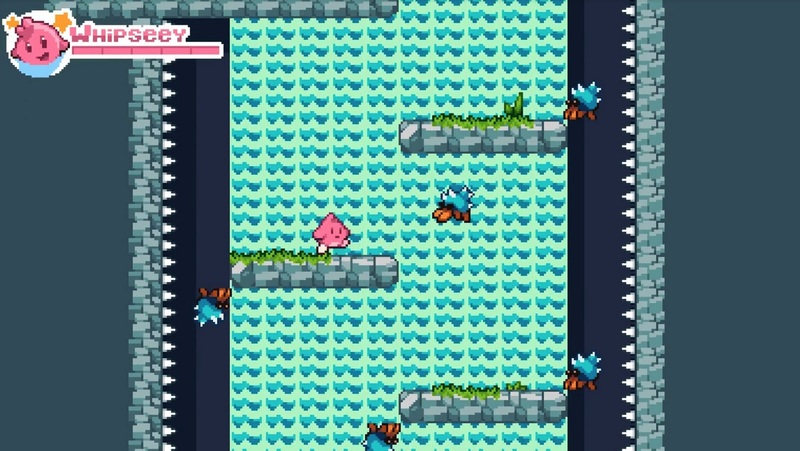 The pixel art, personally, seems reminiscent of Kirby spritework. Fans of indie platformers such as Whipseey have gave feedback over the past two years, allowing Daniel A. Ramirez to polish the game up. It had an art redesign as well as a rename from Whip Master. Pricing and exact release date has yet to be disclosed. For more information, there is the press release down below.